Show your skills and pot pool balls with ease. Augmented Reality has opened the doors for new opportunities in our world to experience a new dimension of technology. The mobile app technology is leveraging the AR mostly to transform the traditional way we interact with our smartphones. The mobile games blended with the AR technology are the best examples of the implementation of this technology. Kings of Pool is another such integration that brings the pool gaming from devices to in front of the users. The users can play the 8 ball game using the Kings of Pool in Augmented Reality. Get realistic experience by switching the full AR mode and play the pool to flaunt your fancy moves. 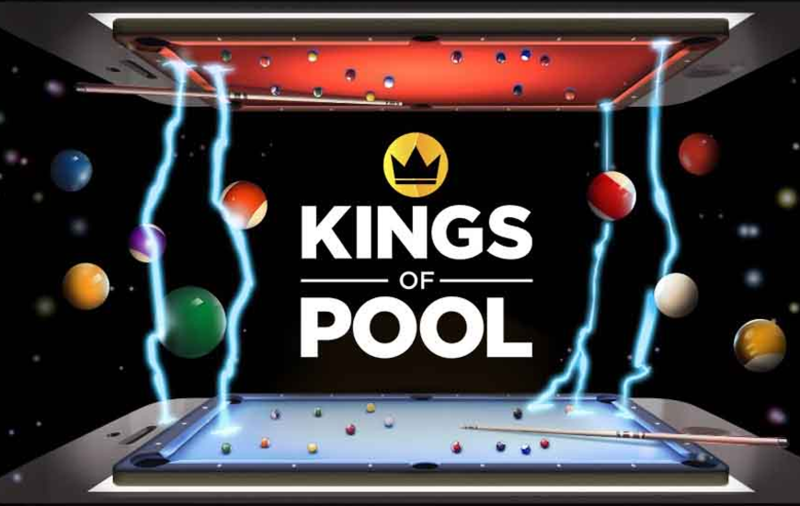 Kings of Pool uses the technology to make the virtual pool gaming more realistic for the players. So, if you are among the ones who like to play 8 pool game at any time and anywhere Kings of Pool is for you. Are you a fan of pool gaming and most of the time you pick your phone to play that 2D pool game on your smartphone? You must be bored by now by playing that low graphics game over and over again. So, you need to try Kings of Pool right now. The app offers 8 ball game in the AR mode. With the help of the AR mode, you will be able to play your favorite game by placing actual pool table in the Virtual Reality. By using 3D graphics and working dedicatedly on all the visual details, the creators have to build a realistic pool game for the users. You can customize your own pool table in any space using the app. So, just jump in the game by setting your own pool table and start playing with the pro players across the globe. Compete against your friends or any other layer and win extra posts to unlock more features in the app. You can also make your own club with your friends and compete with others to win prizes and medals to become the best one. Show your tricky shots to win games and earn ranks. With every win, you will be climbing up to the list of top layers. You will get a player profile to show off your stats, points, badges, and medals you earned by playing the extraordinary shots. The app also offers global chat option to let the users talk about the game for sharing the strategies or celebrating the victory after a match.